Motor Magnets: Magnets and assemblies from HSMAG Magnetech Magnetic Products can be found in many types of motors, generators, and actuators. Rare Earth magnets (Samarium Cobalt and Neodymium), or Ferrite (Ceramic) magnets can be used in magnetic motor and vehicle magnet applications. 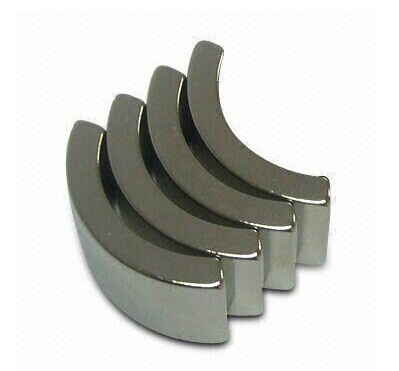 Rare Earth magnets are typically two to three times stronger than ferrite or ceramic permanent magnets. In electric motors, that results in greater performance from smaller, lighter motors. However, rare earth magnets are also more expensive than ferrite (ceramic) options. Neodymium magnets are also used in electric car motor applications. From the motor that spins a DVD disc to the wheels of a hybrid car, neodymium magnets are used throughout the vehicle. The decision between Samarium Cobalt or Neodymium as a vehicle magnet is usually based on either operating temperature and/or corrosion resistance. 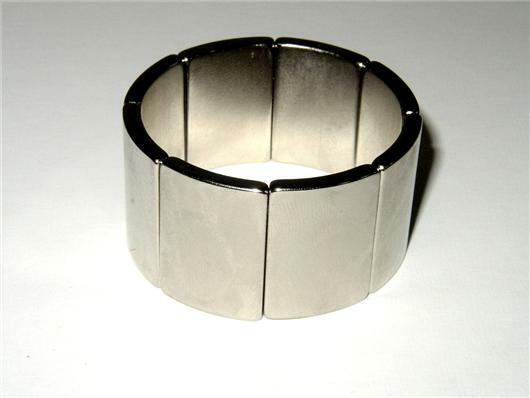 Operating temperature: A low coercivity grade Neodymium magnet may begin to lose strength if heated above 176°F (80°C). High coercivity grade Neodymium Magnets have been developed to function at temperatures up to 428°F (220°C) with little irreversible loss. The need for low temperature coefficient in neodymium magnet applications has triggered several grades to be developed to meet specific operating requirements. Please refer to our chart of magnetic properties to compare the characteristics of each grade. Corrosion: Neodymium magnets are vulnerable to corrosion, especially along grain boundaries of a sintered magnet. This type of corrosion can cause serious deterioration, including crumbling of a magnet into a powder of small magnetic particles. This vulnerability is addressed by adding a protective coating to prevent exposure to the atmosphere. Nickel plating or two-layered copper-nickel plating are the standard methods, although plating with other metals or polymer and lacquer protective coatings are also available. 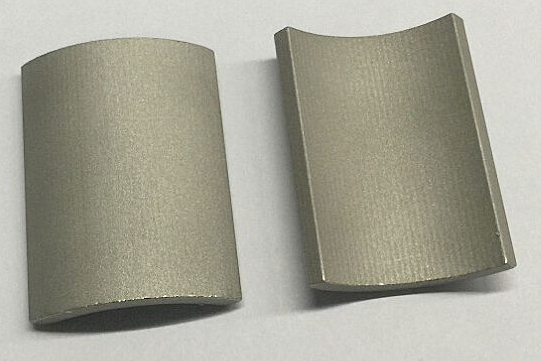 Samarium Cobalt (SmCo) magnets are optimal for high temperature motor applications due to their high magnetic strength, exceptional temperature resistance, and reliable performance without oxidation protection. Corrosion Resistance: SmCo magnets offer outstanding corrosion resistance (neodymium magnets do not). Plating or surface coatings are not necessary for most applications, making them advantageous for medical applications as well. Temperature Stability: A Samarium Cobalt magnet can withstand higher temperatures than a Neodymium magnet. The maximum operating temperatures for Samarium Cobalt magnets are between 250 and 550 °C; Curie temperatures range from 700 to 800 °C. 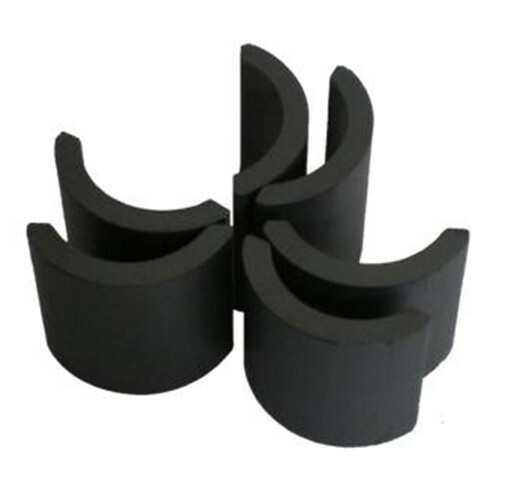 Although they offer low energy compared to rare earth magnets, ferrite magnets have won wide acceptance due to their strong resistance to demagnetization, exceptional corrosion resistance and low price. It is the most common magnet used in most types of DC electric motors. Operating temperature: Maximum operating temperature for a ceramic magnet is 250°C. Although you will experience magnetic losses when operating at elevated temperatures, the losses are recovered when the material is brought down to normal ambient temperature. However, operating in very cold temperatures (-20°C) can result in permanent losses of magnetic strength unless the circuit has been designed for such extremes. Corrosion: Ceramic magnets offer good corrosion resistance and generally do not require a coating or plating.